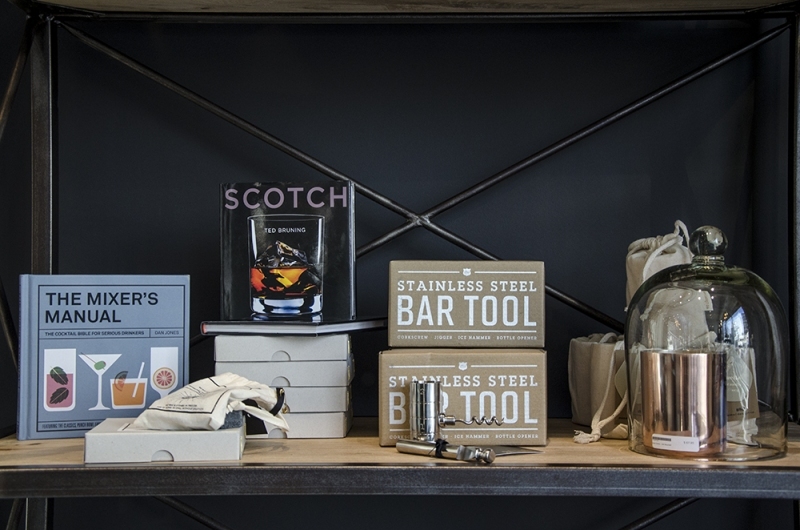 Break down the walls of your man cave and inject some modern masculinity into your space with gifts and homeware from Stuff. Spencer Schmick’s main goal when opening Stuff was to avoid the generic. 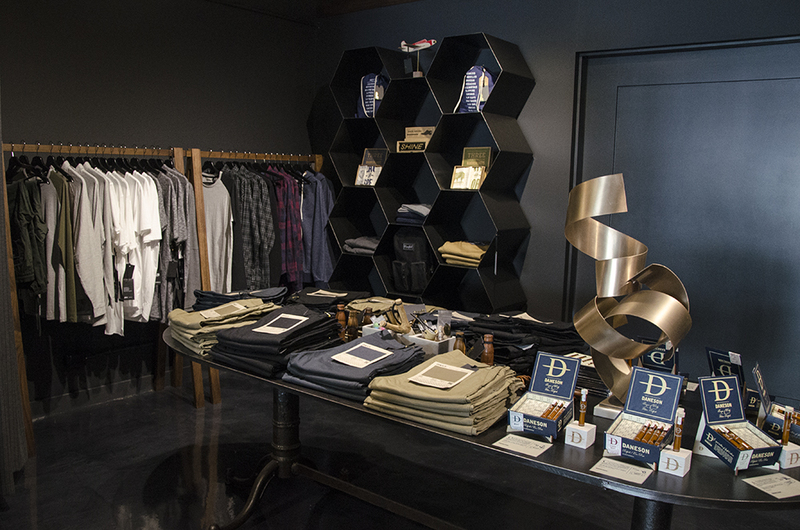 He says he didn’t want Stuff to be like every gift store out there and when he started looking at potential products, he found that everything he selected had a more masculine look to it. “It’s got product from every category [guys] need for life,” he says, which makes Stuff the shopping destination for the man that has almost everything. 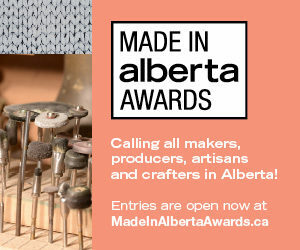 Offerings include items such as Daneson Bourbon infused toothpicks, Canadian designed The Daily chinos, and Hella Slingshots that will satisfy your inner Dennis the Menace. 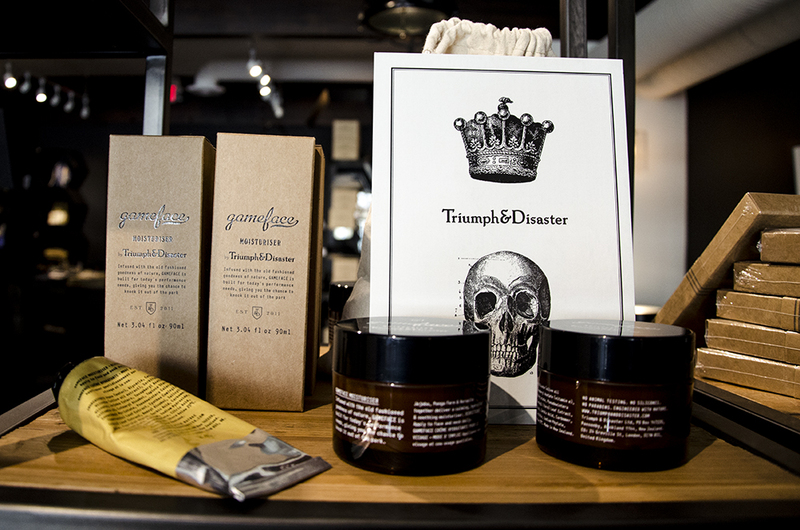 Stuff also carries lines of grooming products from New Zealand company Triumph & Disaster and UK brand Men’s Society. With nearly five years as a sales rep for various furniture retailers and another 11 split between Calgary stores Bondars and Home Evolution, it was a natural fit to add furniture into the mix when Schmick discovered he had more square footage than anticipated. Virtually everything in the store is available to purchase, from the shelves displaying product right up to the lighting fixtures hanging in the space. Schmick says he encountered gift shops with a similar feel, but always marketed towards both men and women. “I wanted to be a little more unique,” he says. To do this, Schmick deviated from the use of white that’s seen in a lot of current retail spaces. 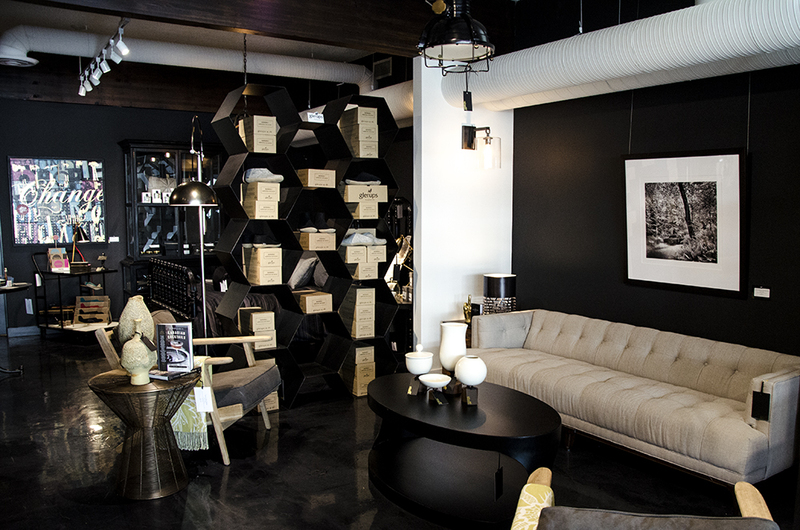 The store’s dark colour palette paired with Four Hands furniture and Arterior lighting create a working showroom for the modern bachelor pad. Schmick says that he’s always on the lookout for more great men’s giftware. “Everything is going to evolve,” he says. So be sure to keep an eye out for more stuff at Stuff. 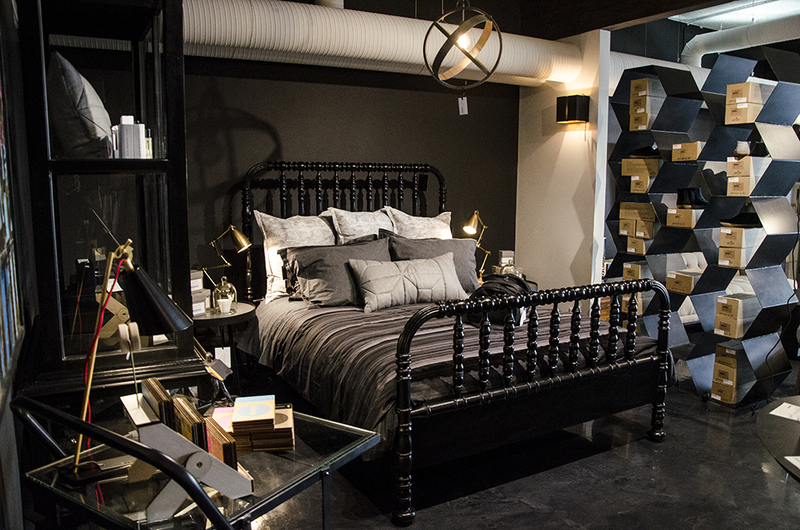 Chic textiles and modern pieces including this bed from Noir Furniture are sure to create a sophisticated bedroom. Photograph by Fraser Tripp.